I am not big on make up, mainly because I am really unconfident at applying it so tend to shy away from anything other than a splodge of mascara (that ends up smeared across my face because i forgot it was there) but I am getting to the point where actually I would like to not look like a zombie in photographs and maybe make a bit of effort. And so maybe it is perfectly timed that Poppy and Someday and Eagle Eye Healing have teamed up to make what must be the most beautiful make up I have ever seen..... Isis! Isis our first Eyeshadow and is Lapis Lazuli and Pyrite. Associated with the third eye chakra, the Lapis Lazuli can be traced back to ancient Egypt where royalty believed in its power to stimulate openness to the spirit world and infinite possibilities of the imagination. 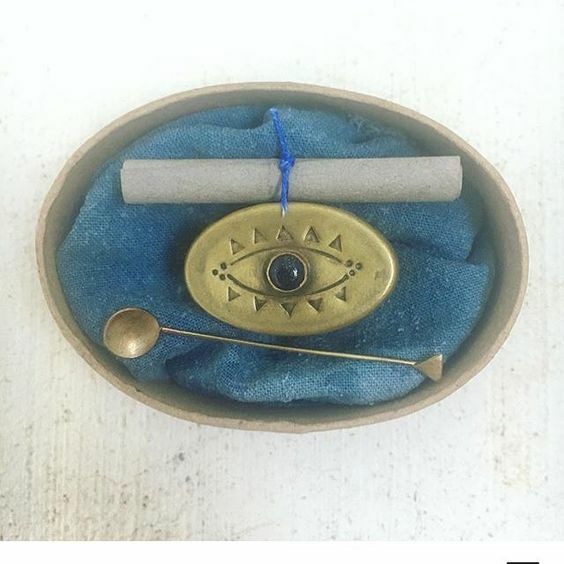 Isis is the first product from the new line Eye of Ra, a collaboration between Kari Jansen (Poppy and Someday) and Jessi Campbell (Eagle Eye Healing)......This ceremonial make up is ideal for opening your third eye and tuning in to your intuition. 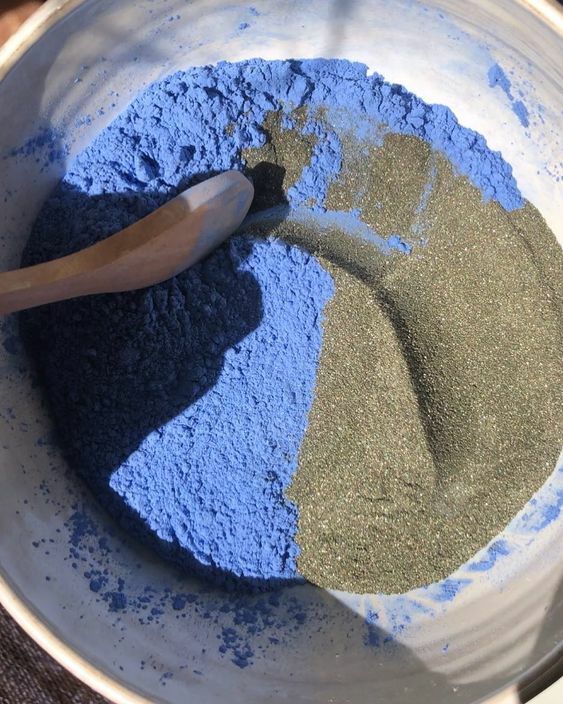 Composed of powdered Pyrite and Lapis Lazuli, this eye shadow can be worn soft or made darker with a little water or natural primer. 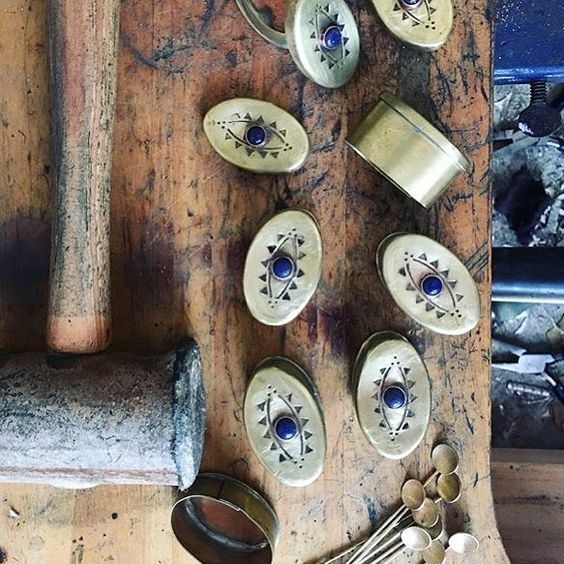 The brass container is handmade by Peter Goebel, The Lapis Lazuli inlay and custom eye design on the lid by Moon Pi. Comes with handmade little brass spoon and a scroll with instructions. Good morning.....Don't know if I would actually apply this around my eye area.....but the colors are most lovely. I'm not much for makeup either, but this does look lovely!